And yes, the Christmas card you see above was designed by me, to send to friends and family with subtle suggestions as to what exactly I want this Christmas. Seriously though, who wouldn't want a pair of Sophia Webster Flamingo heels from the big guy in the red suit? Yeah, I sent him one too. 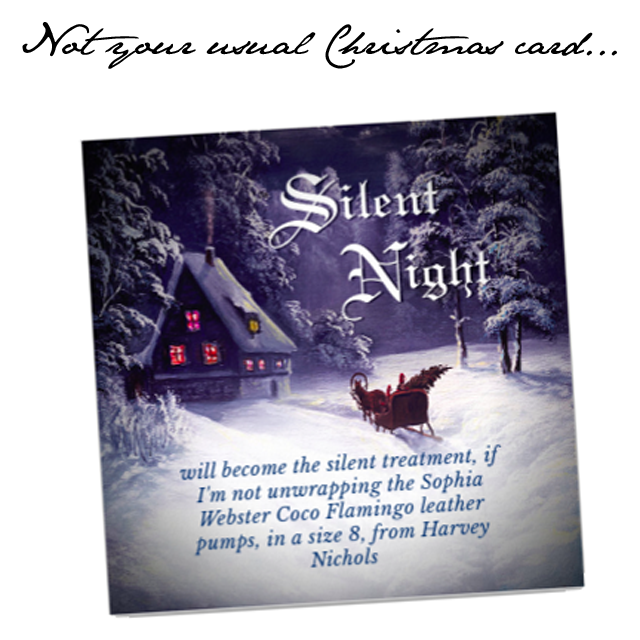 If you're game for designing your own clever Harvey Nics wish list, head over to "Could I be any clearer?" for all the instructions.